2 Bedroom Flat To Rent in Midhurst for £1,300 per Calendar Month. 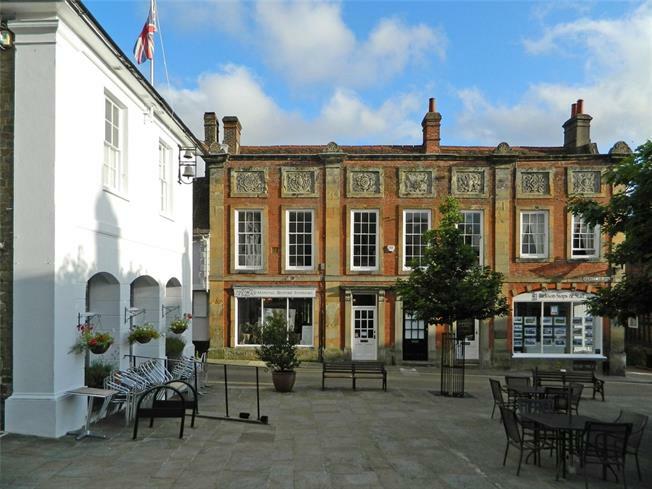 PREMIUM - A beautifully refurbished and elegant Grade II listed period property situated in the heart of Midhurst in a prime position overlooking the Market Square and Church. Believed to date back to the late 1700s, the property has been sympathetically restored with modern-day comforts yet still retaining a wealth of the original features. The property is accessed directly from the Market Square into a magnificent reception hall with a grand bullnose oak staircase with an under stairs cloakroom. The first floor drawing room, with panelled walls and ornate fireplace, draws you to the classic sash windows and wonderful views over the Market Square and the 13th Century Parish Church. The adjacent kitchen/dining room provides a splendid area for entertainment, re-fitted with a bespoke kitchen with a range of quality appliances and granite work surfaces. The first floor bedroom has an en suite wet-room with under floor heating. Stairs lead to the 2nd floor providing a tremendous 23' second floor bedroom complemented with an en suite bathroom. Situated in the heart of the delightful market town of Midhurst, which provides a good range of shopping facilities. The countryside surrounding is well known for its natural beauty, providing many opportunities for walking, riding, sporting and recreational facilities, including polo at Cowdray Park, sailing on the South Coast and a selection of local golf courses. Further amenities are available in Chichester to the south and Haslemere to the north. The latter provides a main line station connecting to London Waterloo in under the hour.